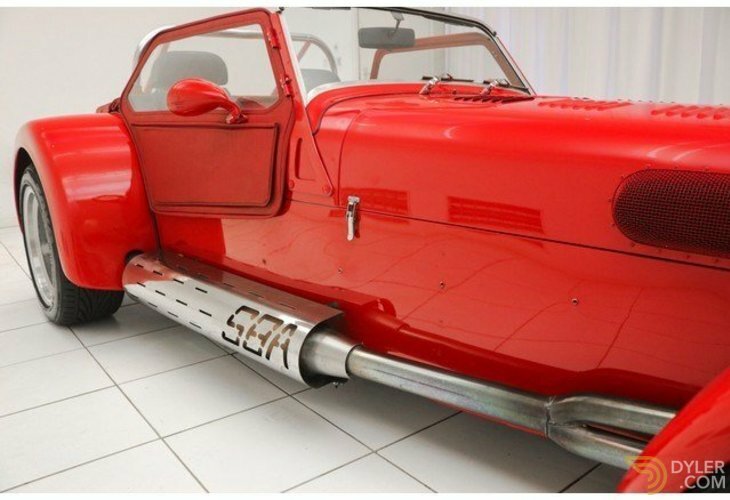 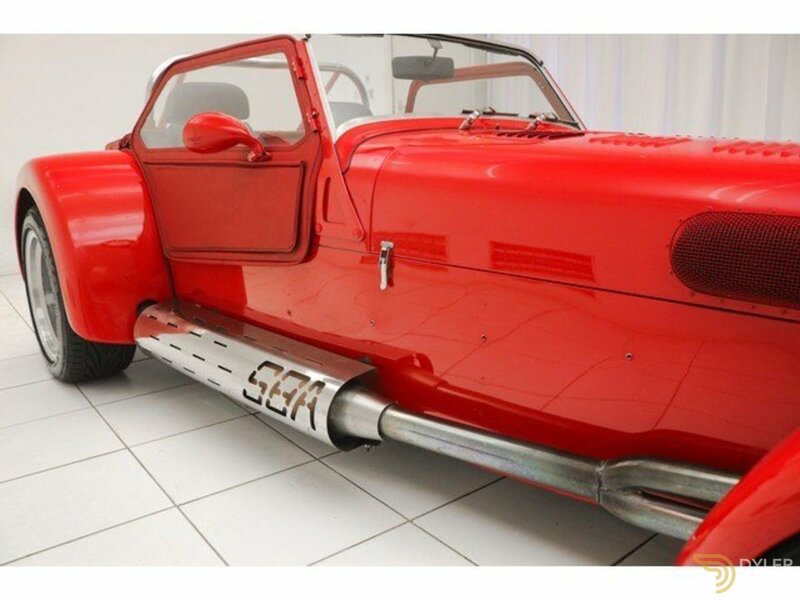 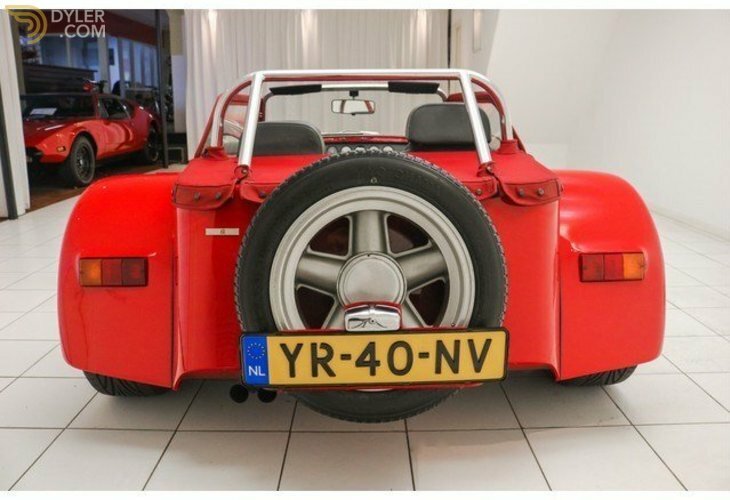 A Donkervoort S8A from 1990, executed in perfect condition, in the colour Tornado Rot. 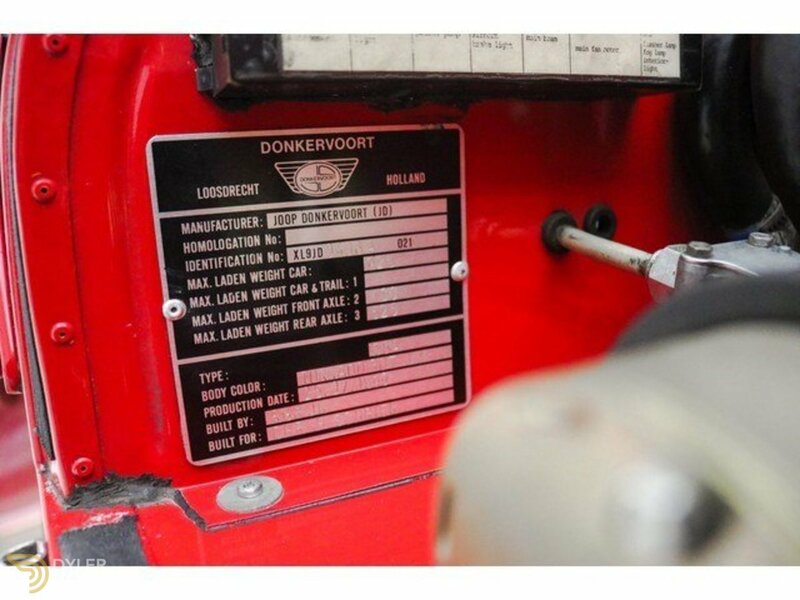 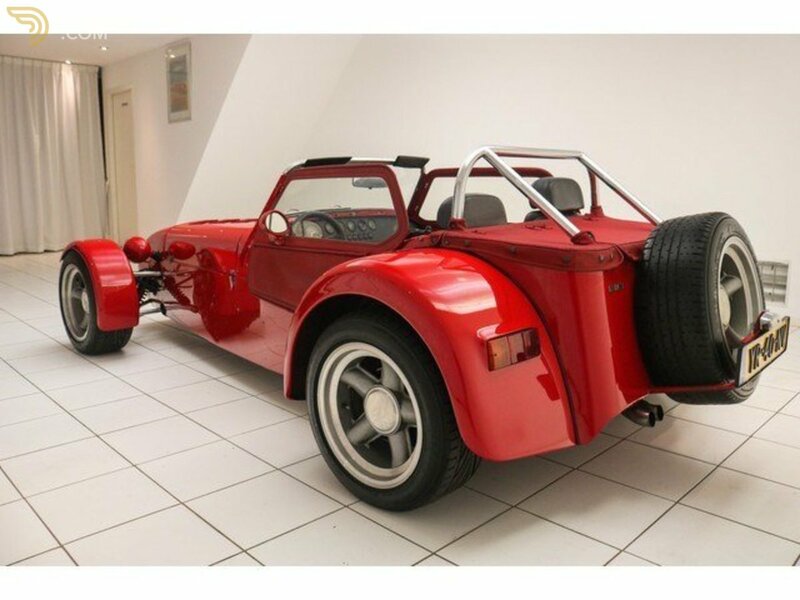 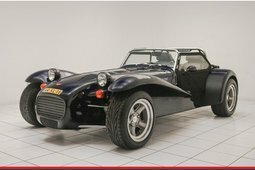 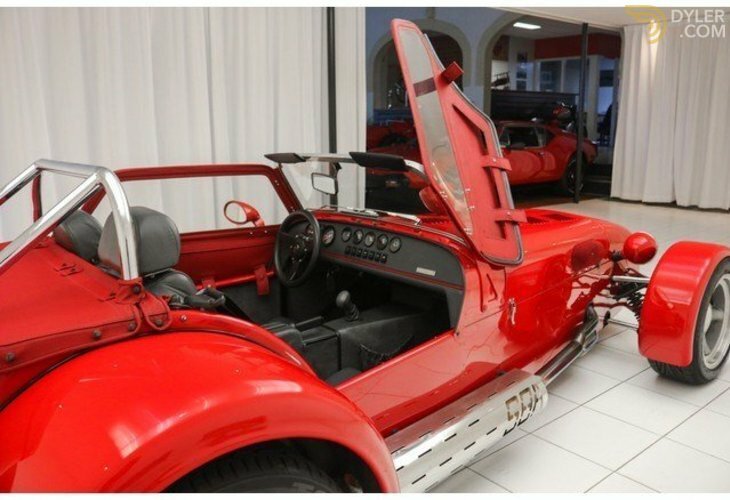 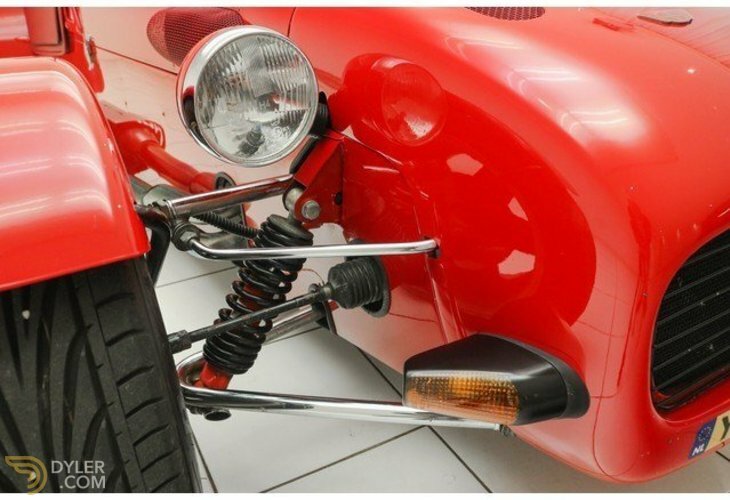 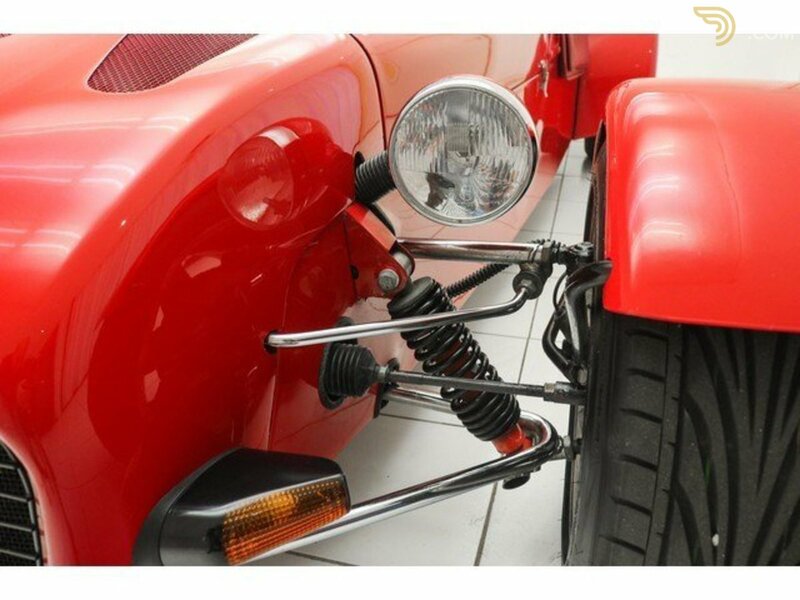 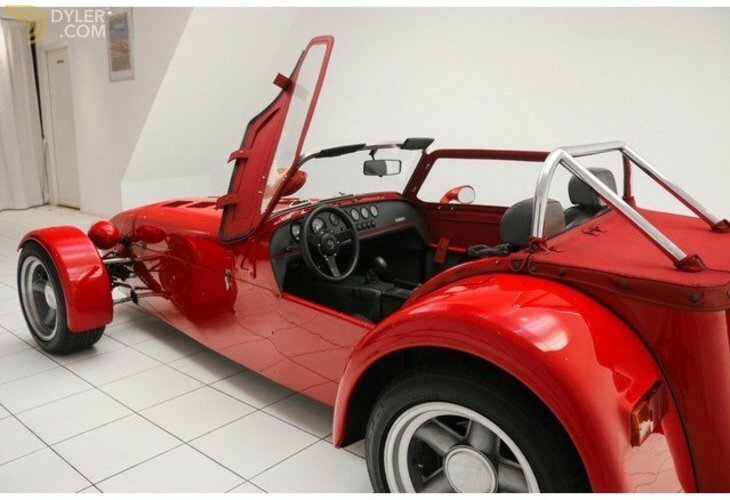 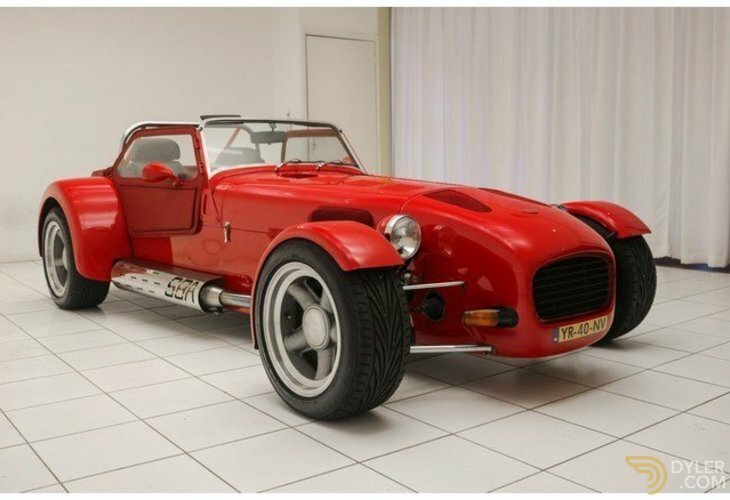 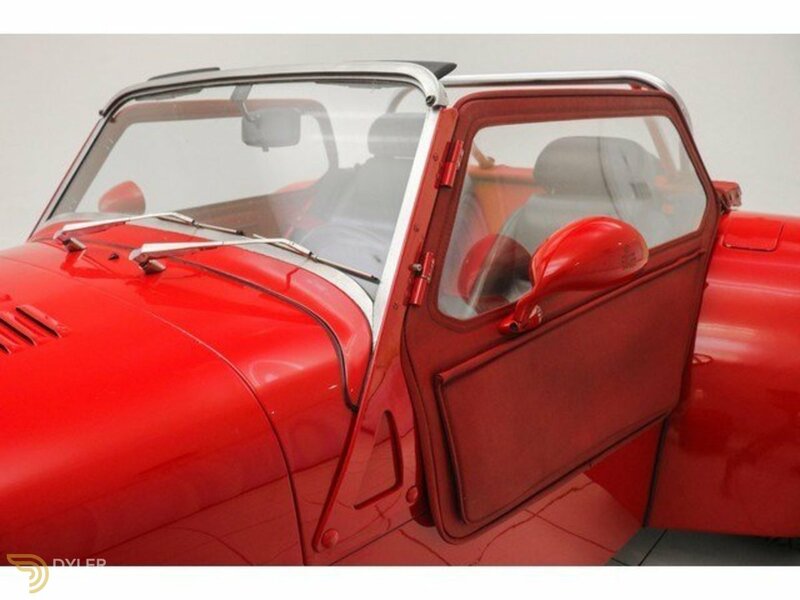 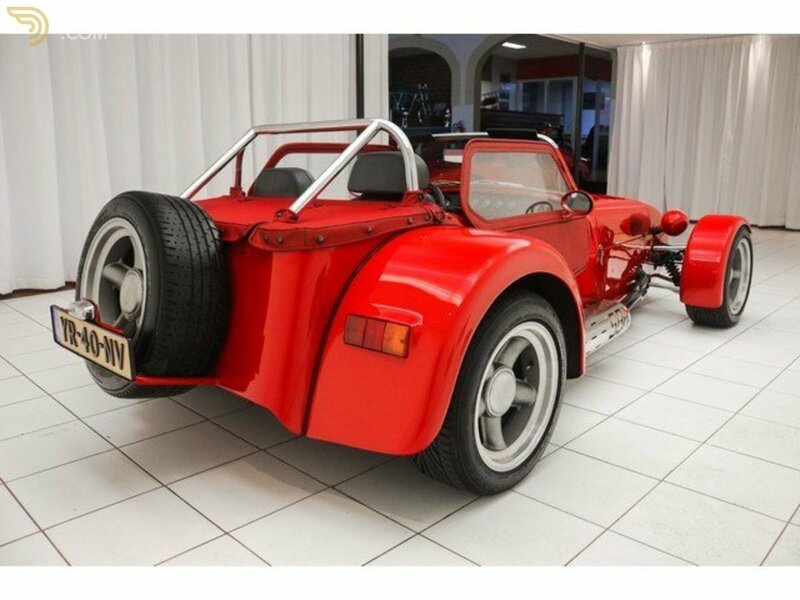 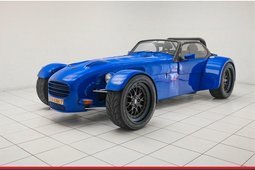 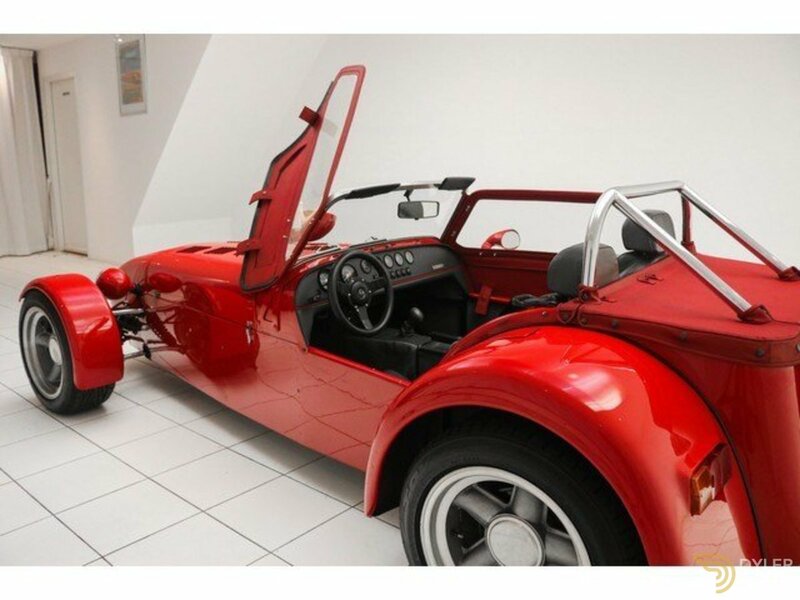 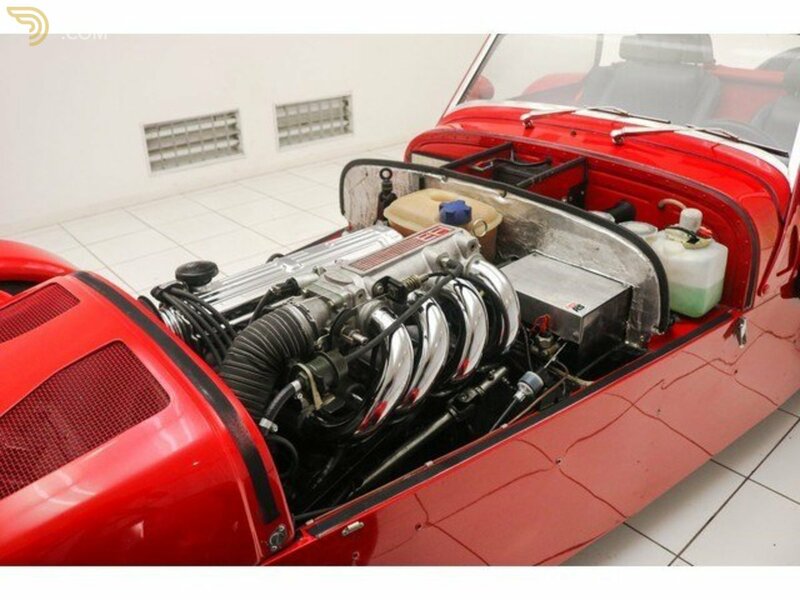 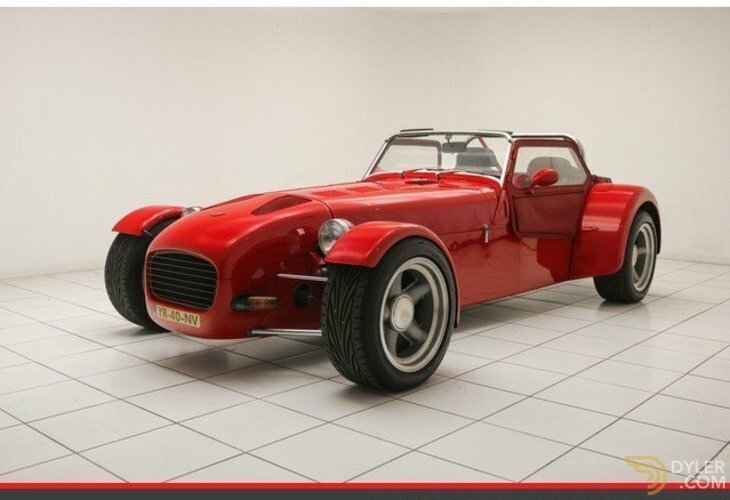 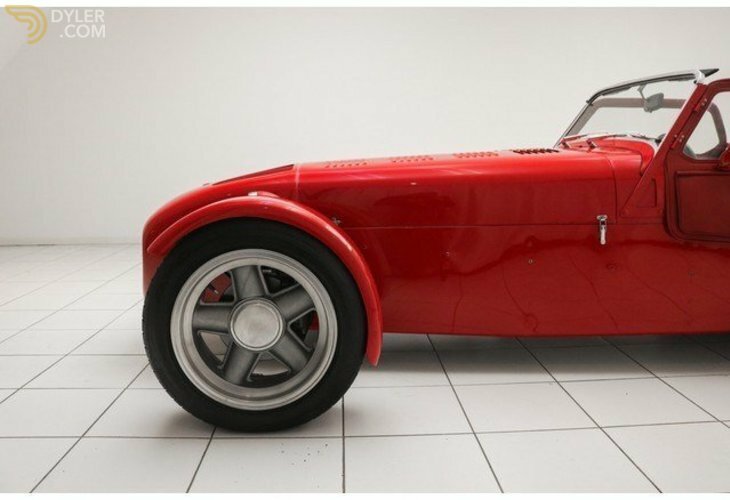 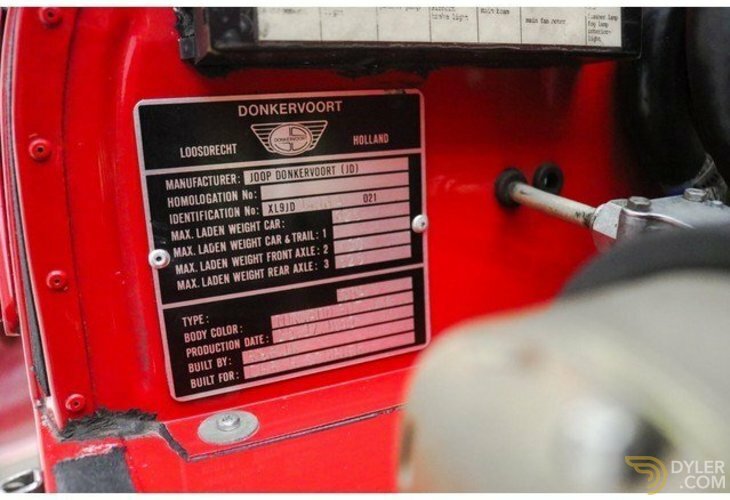 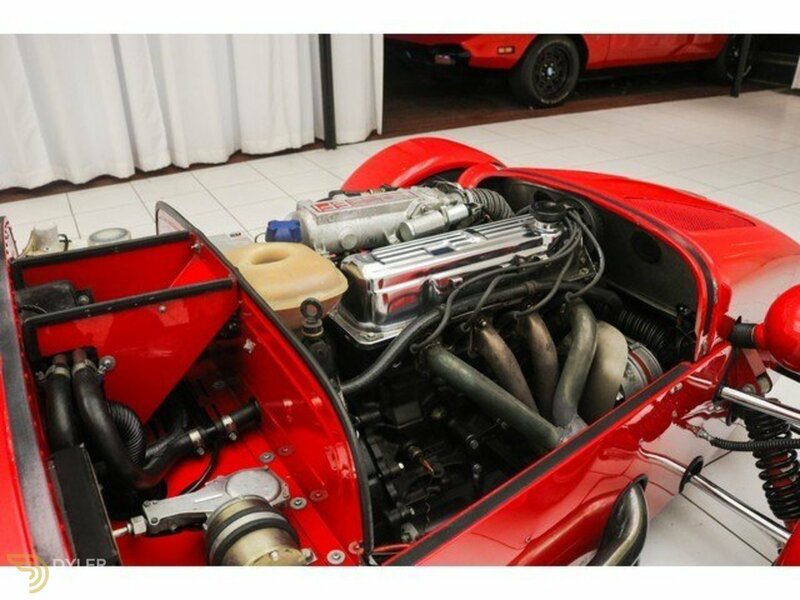 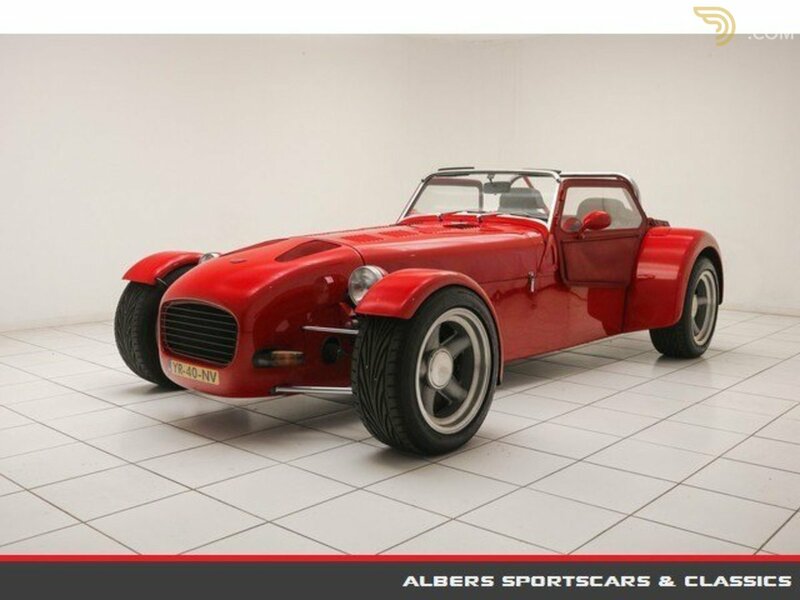 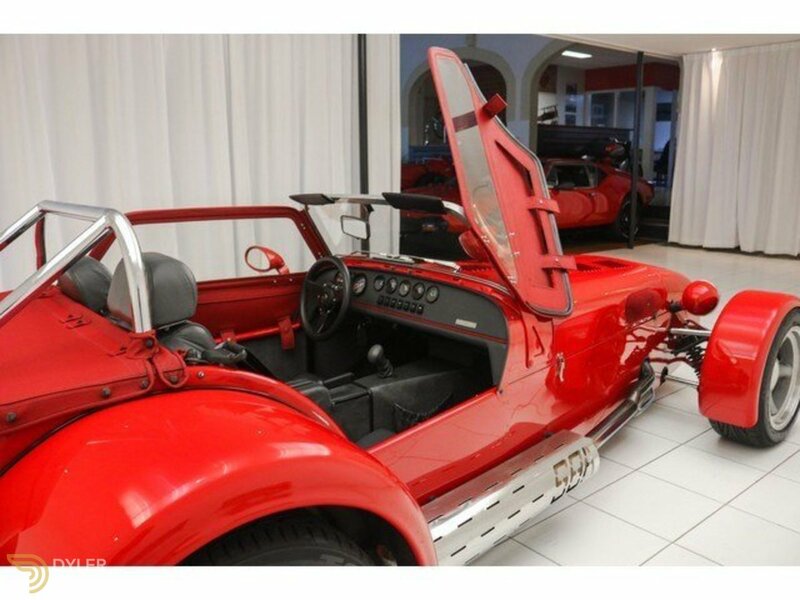 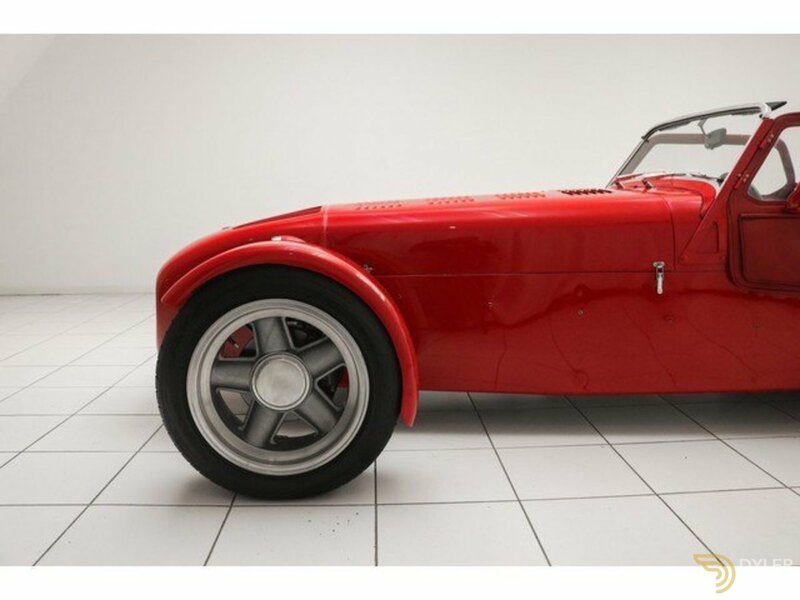 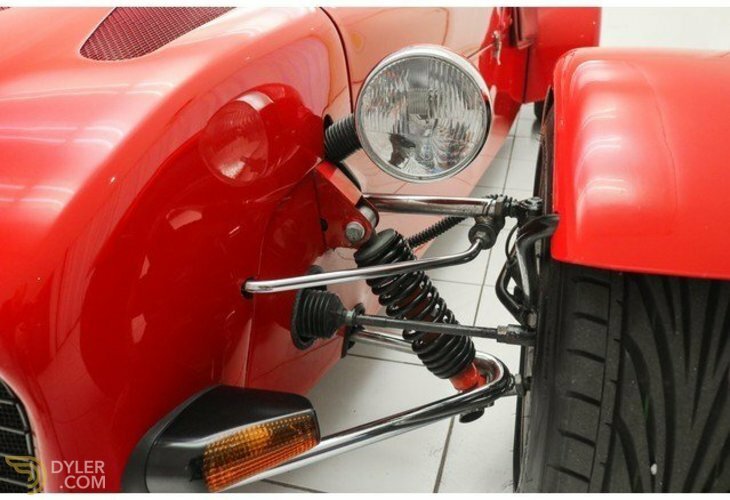 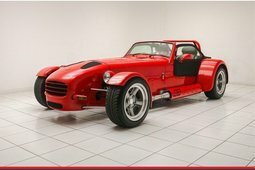 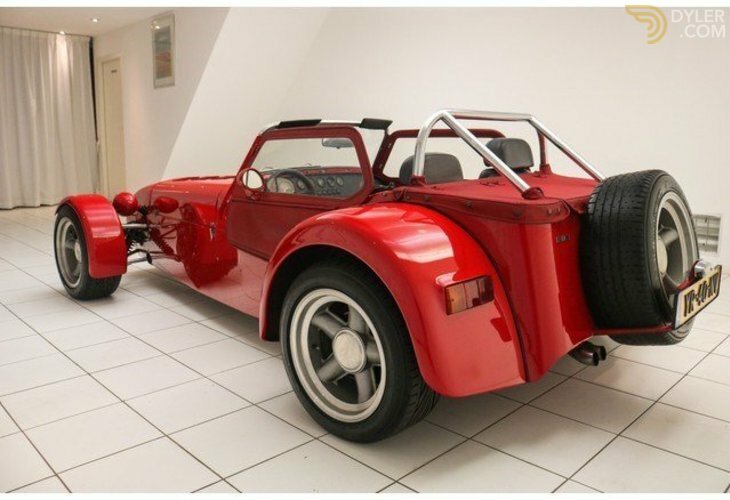 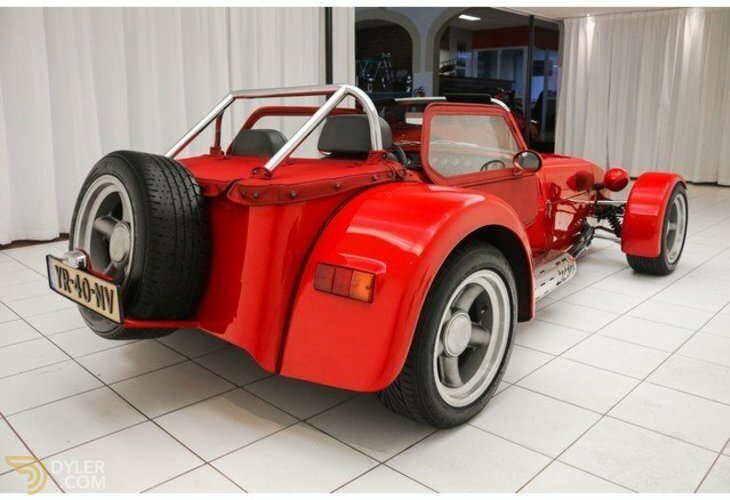 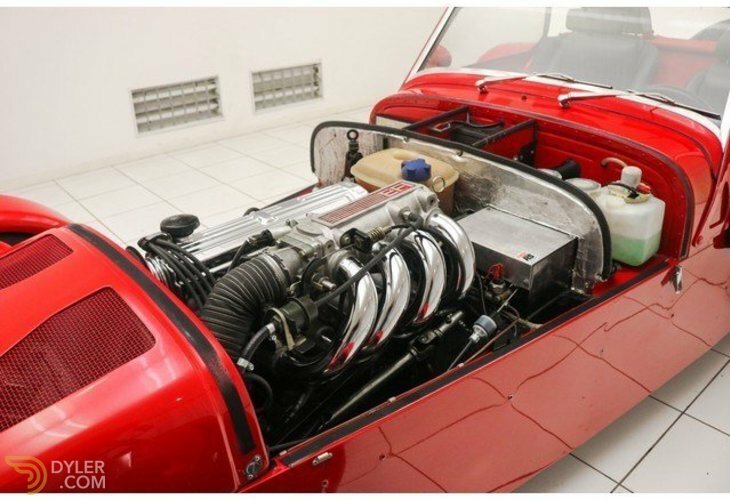 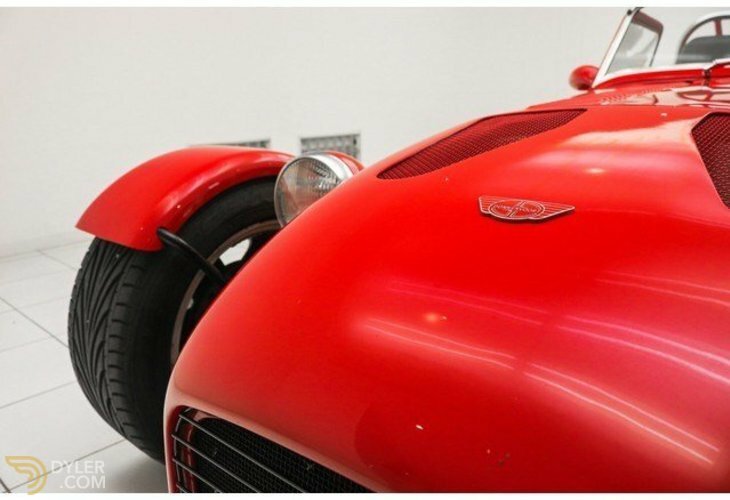 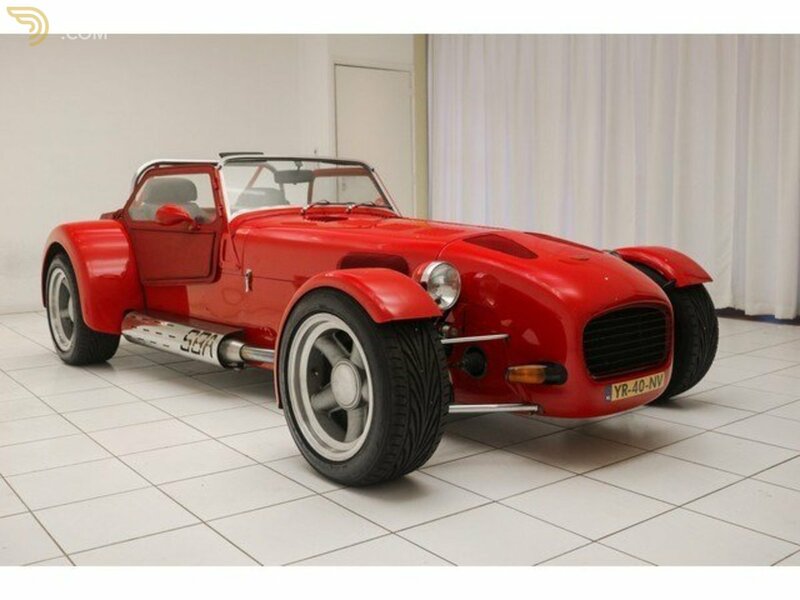 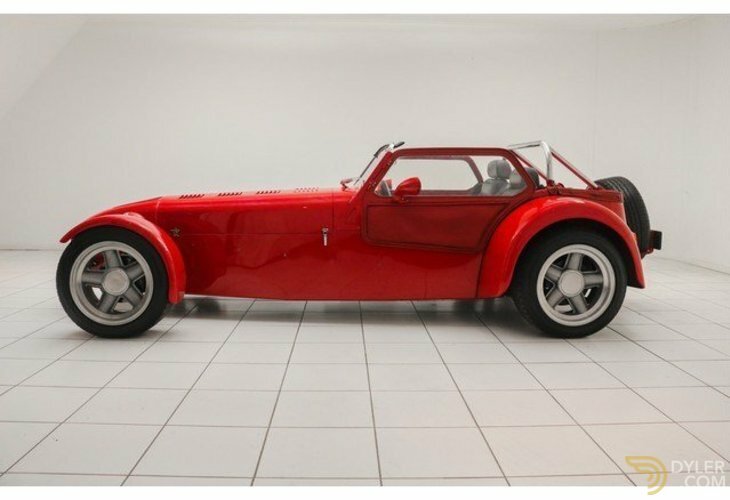 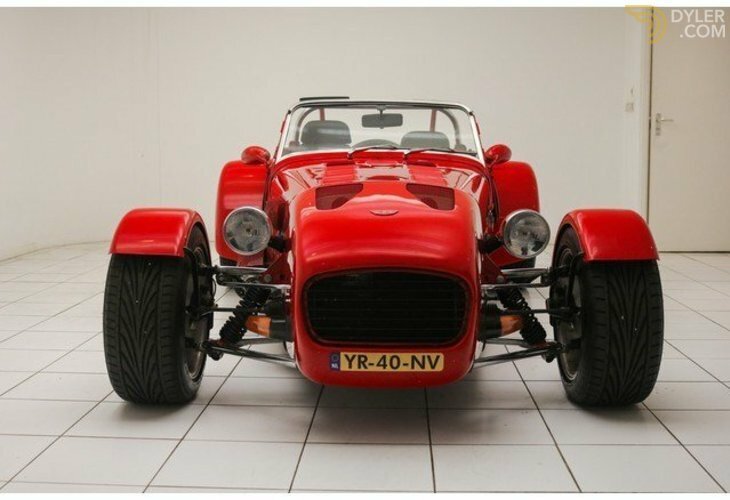 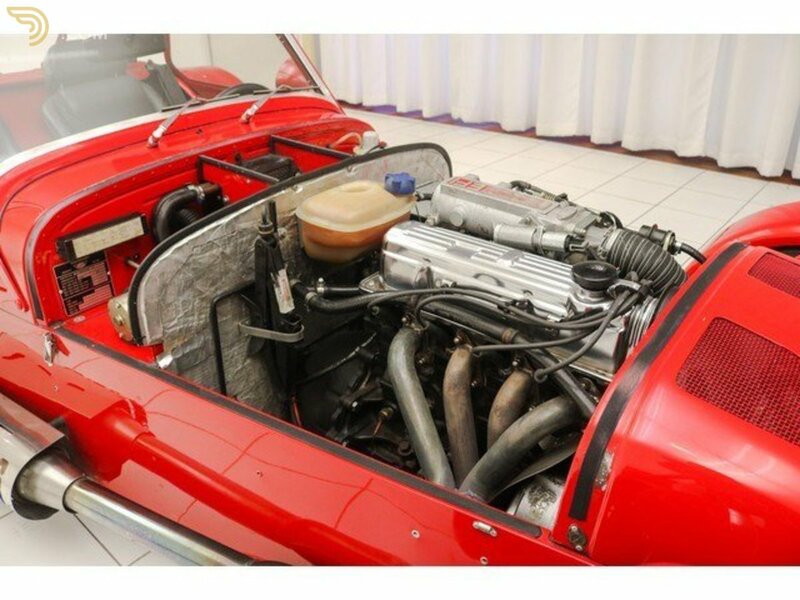 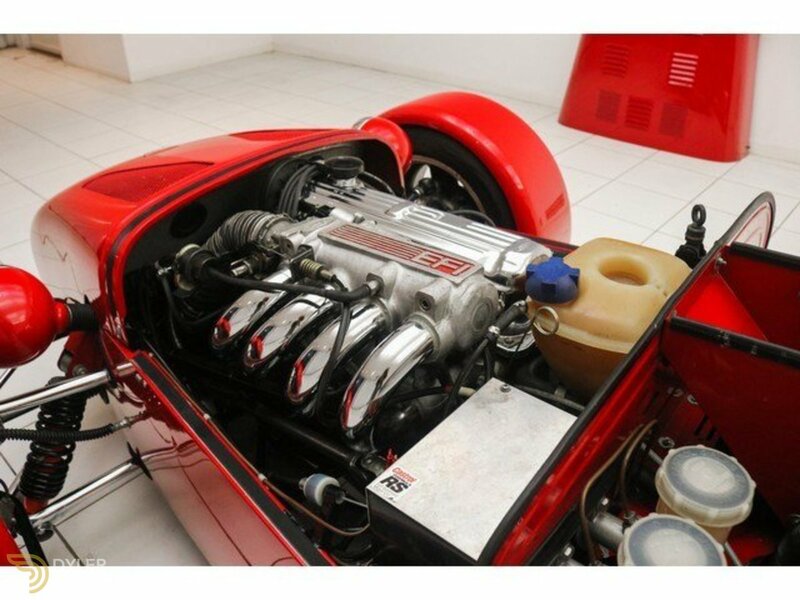 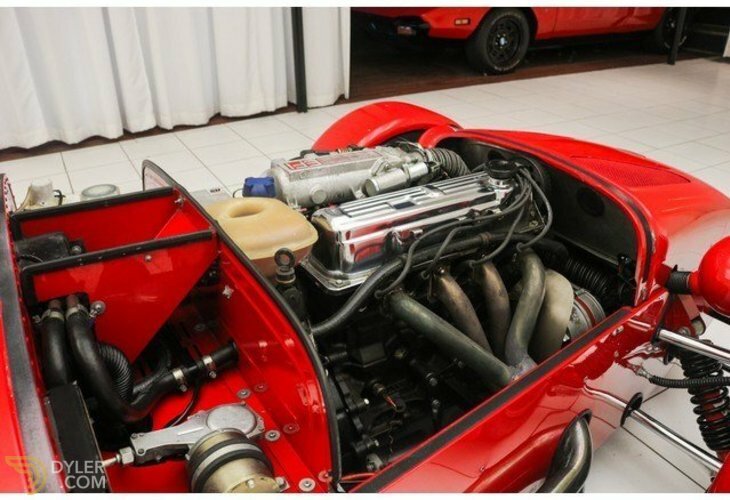 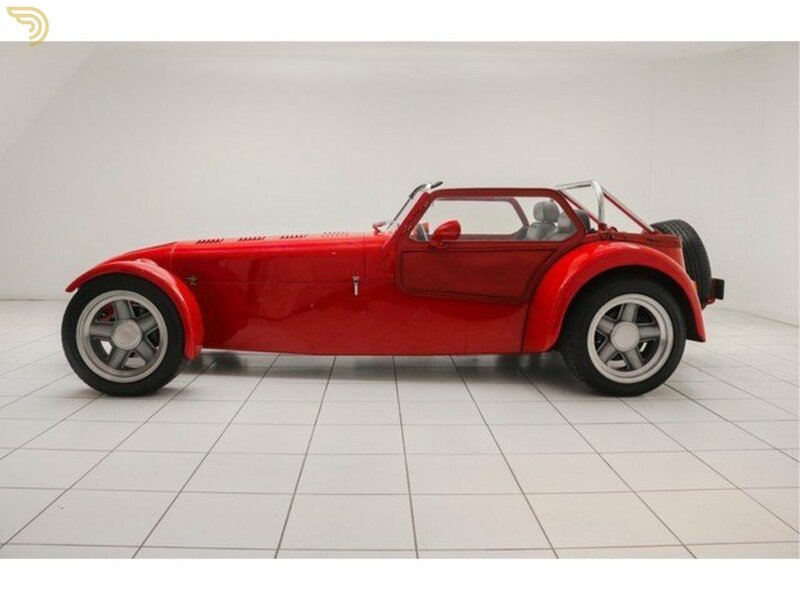 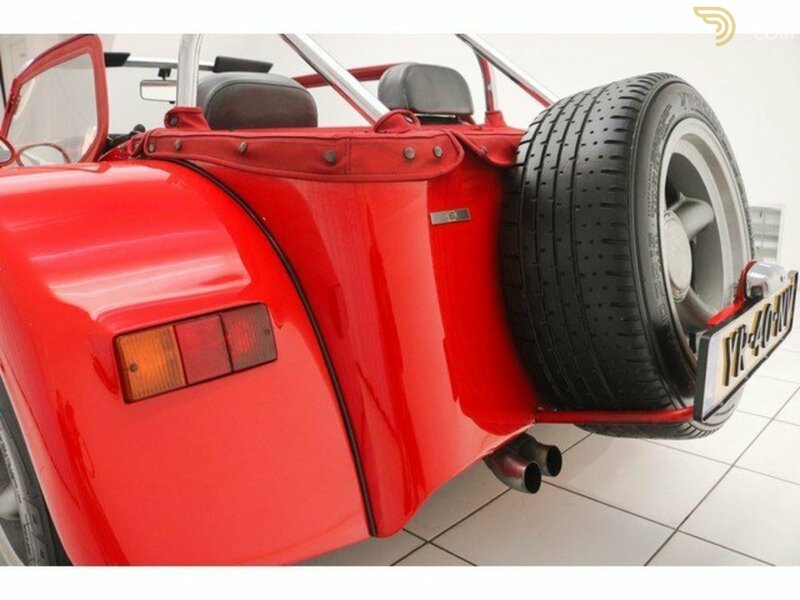 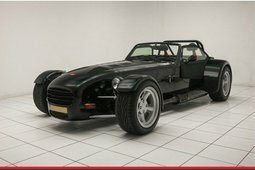 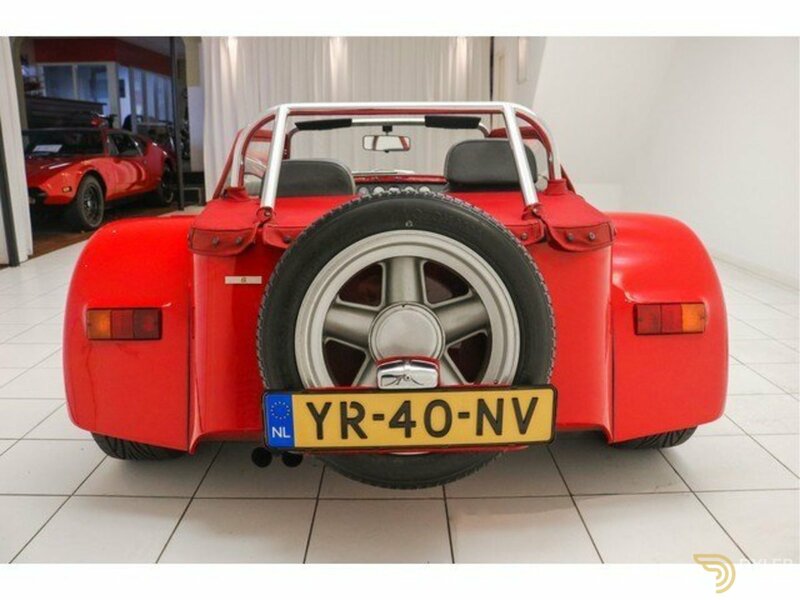 The exterior of this Donkervoort is original and is in excellent condition. 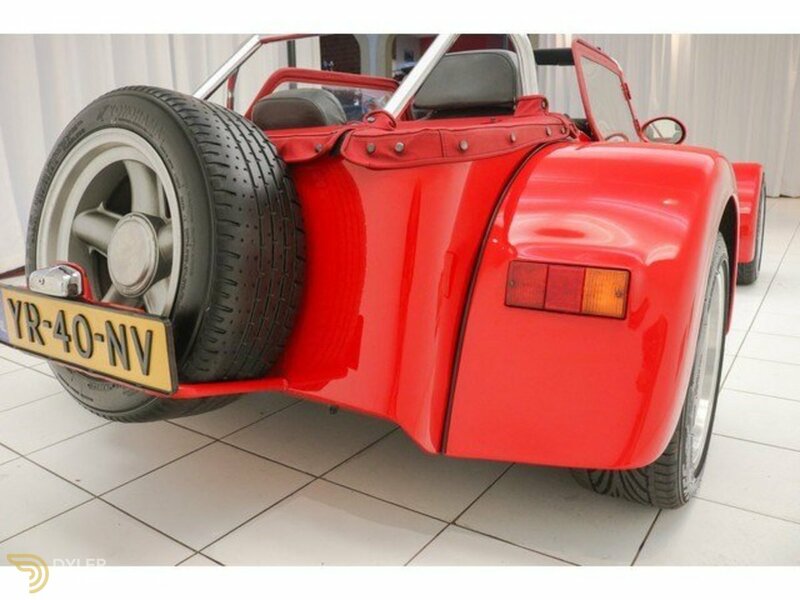 The car is equipped with Cycle wings (small mudguards in front). 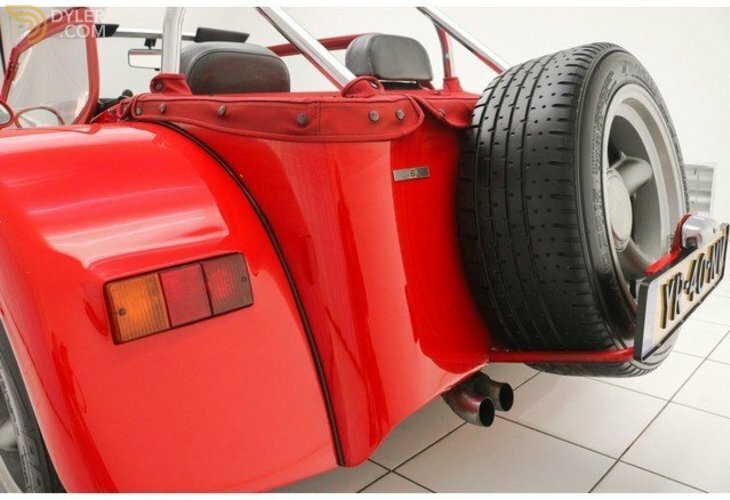 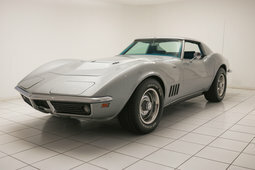 Under the car are original 15-inch revolution rims mounted. 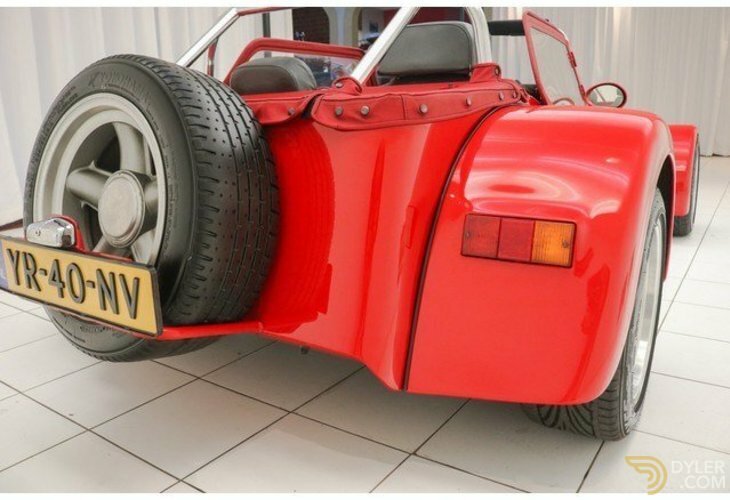 Furthermore, the car is equipped with a spare wheel, red tonneau cover and doors. 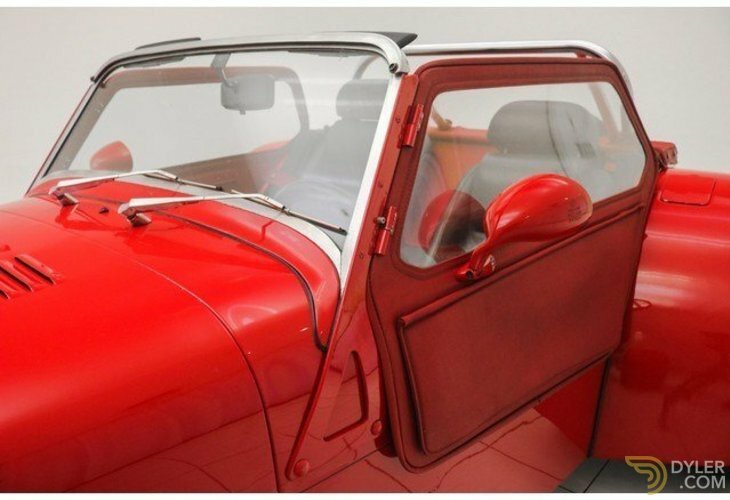 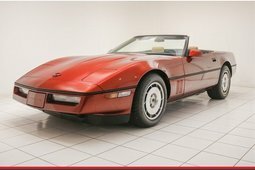 The car also has a Red roof. 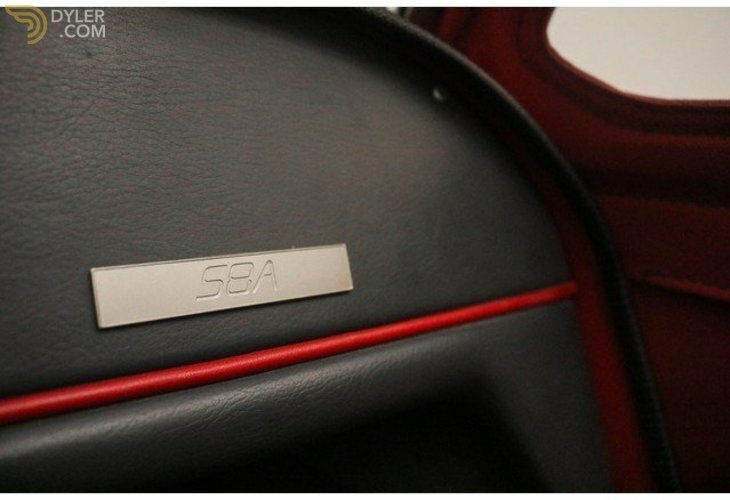 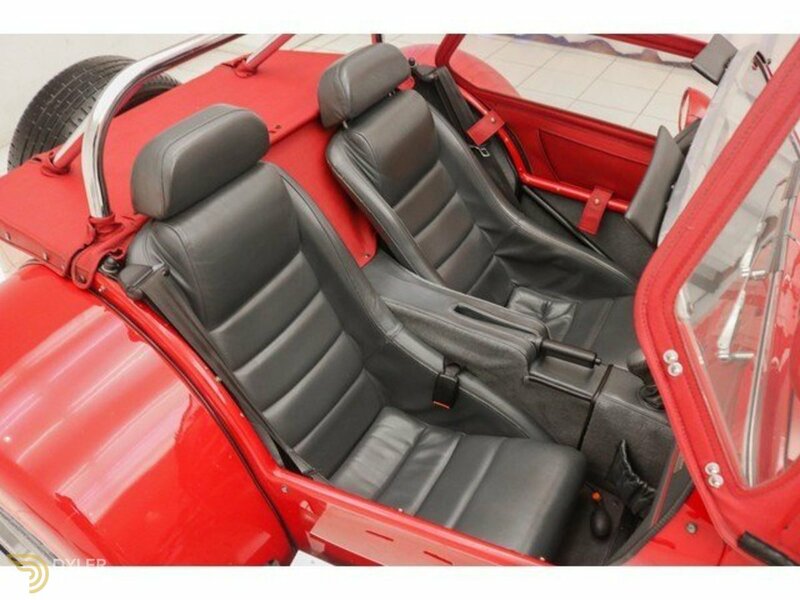 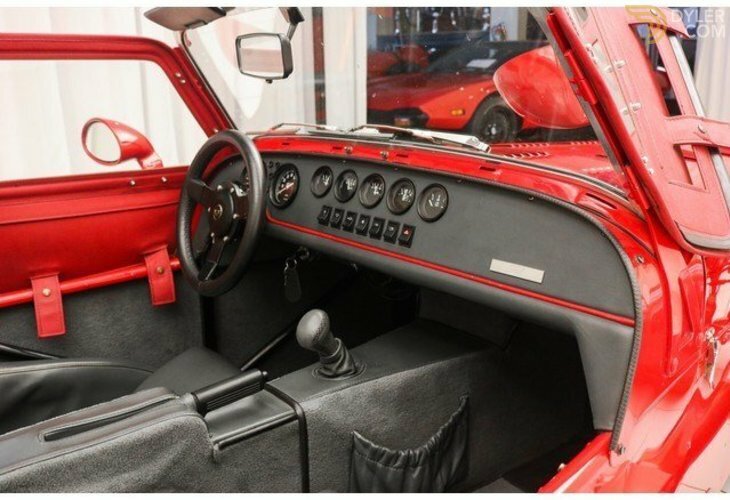 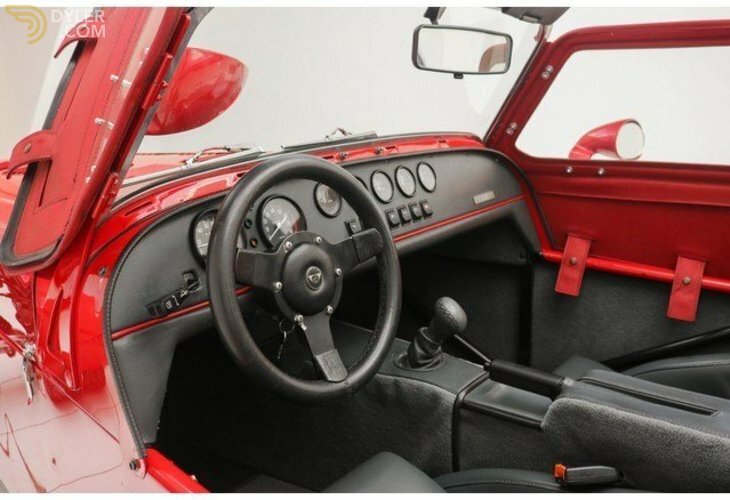 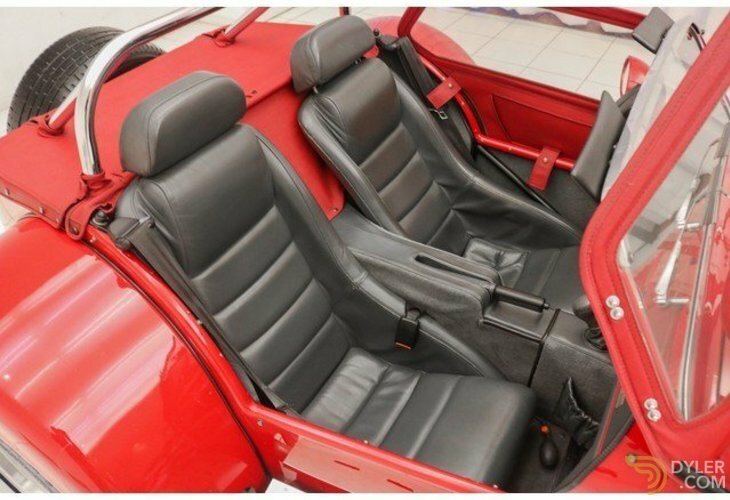 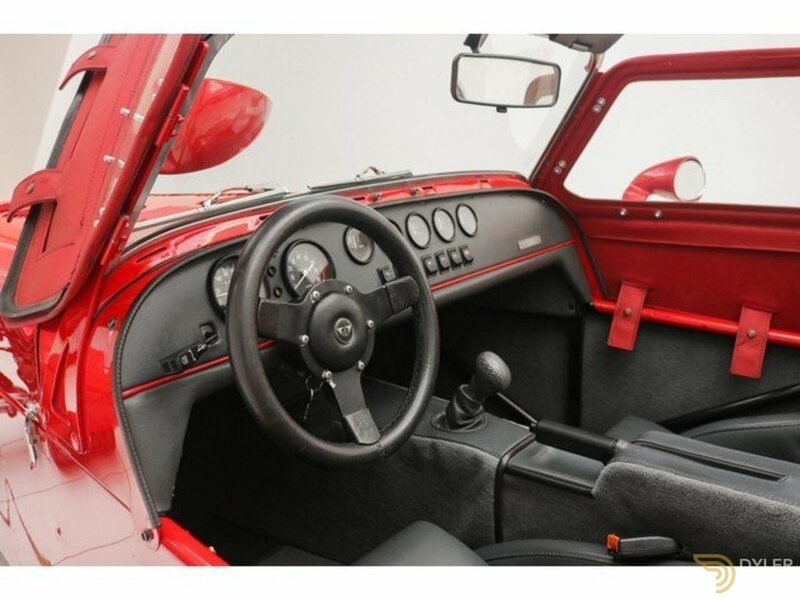 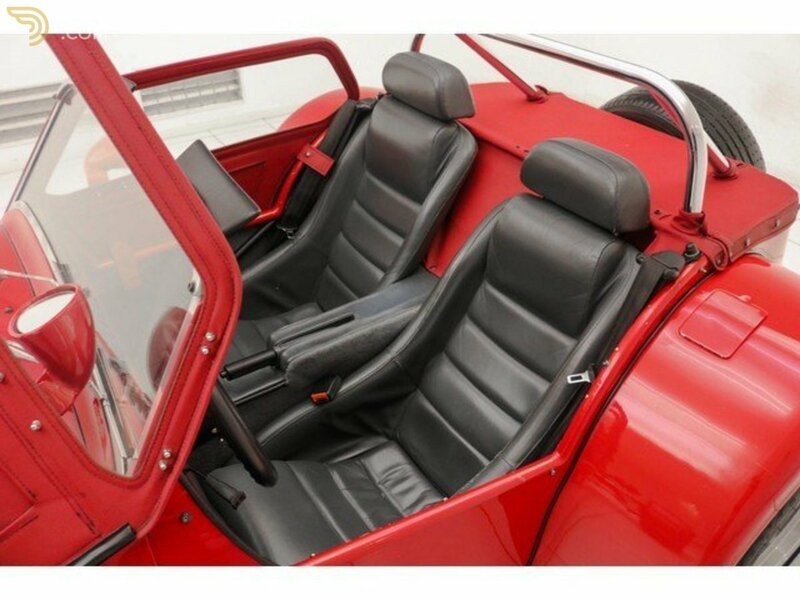 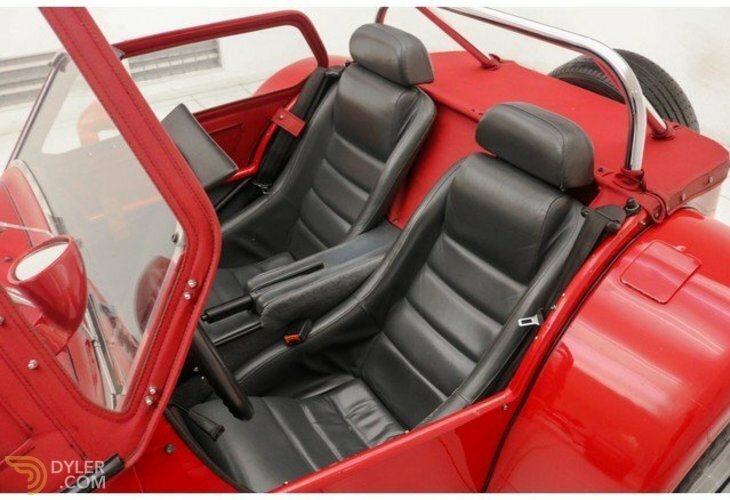 The interior of this Donkervoort has grey leather upholstery. 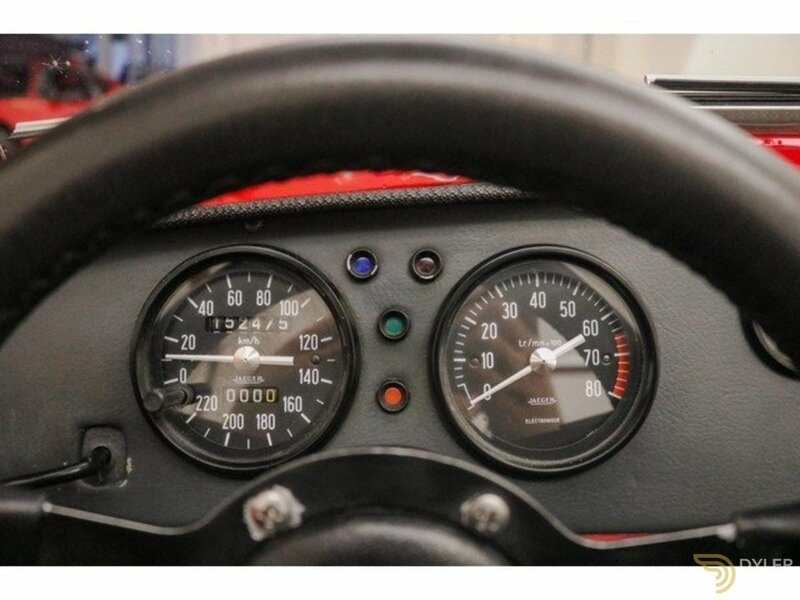 The steering wheel is original and comes from Mountney. 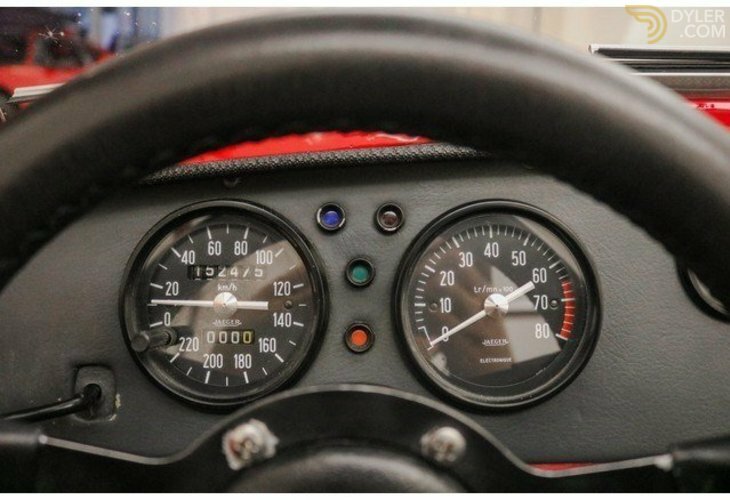 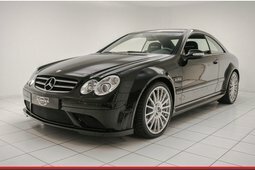 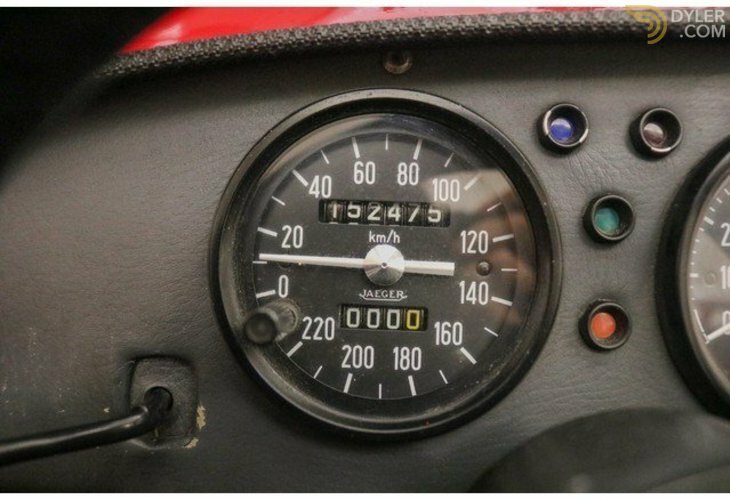 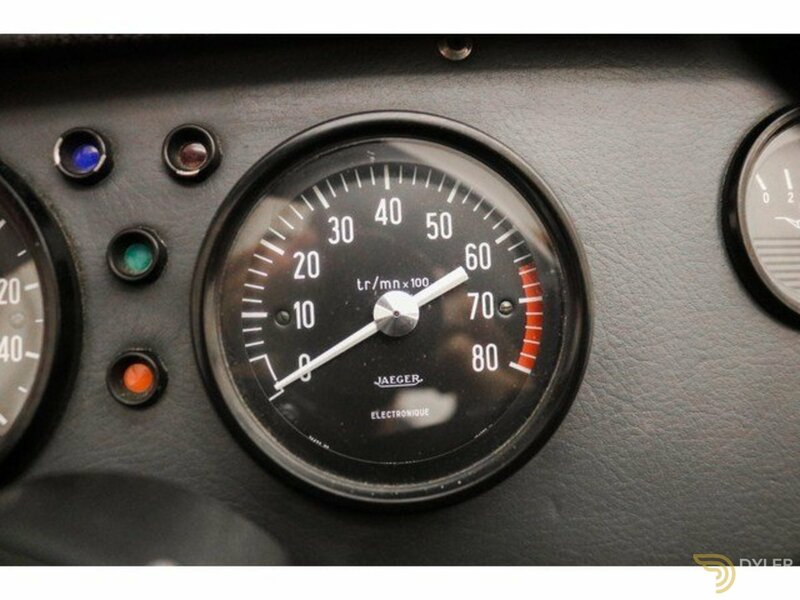 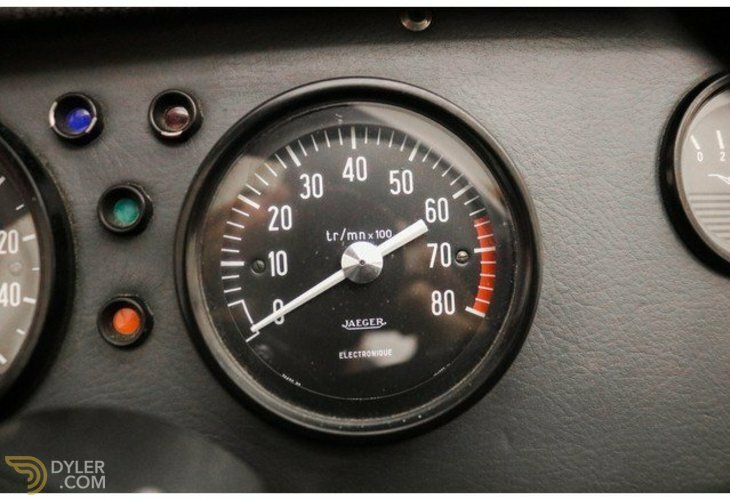 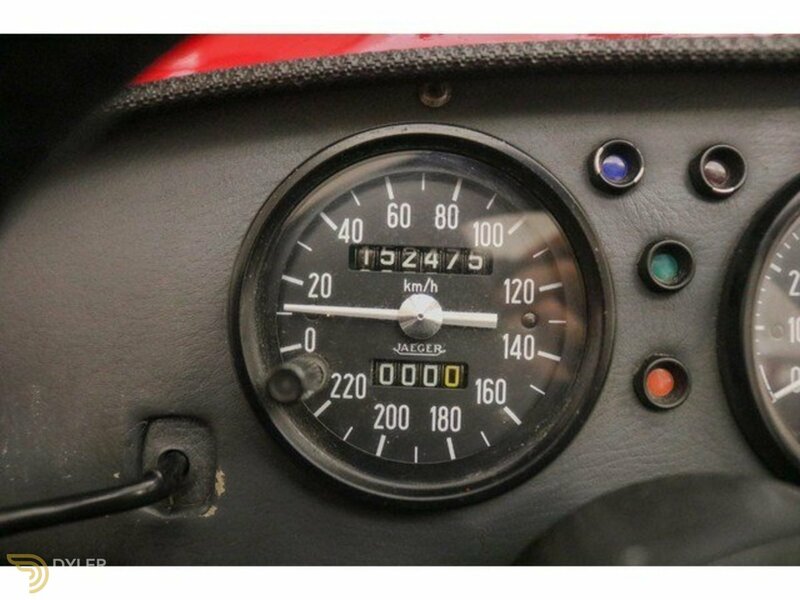 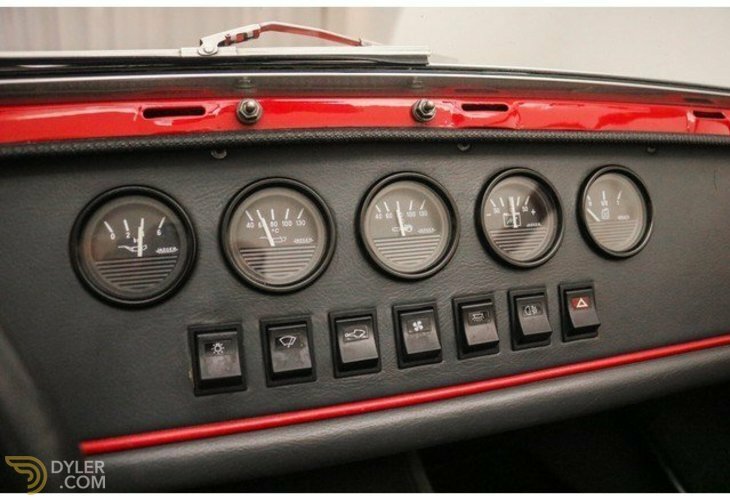 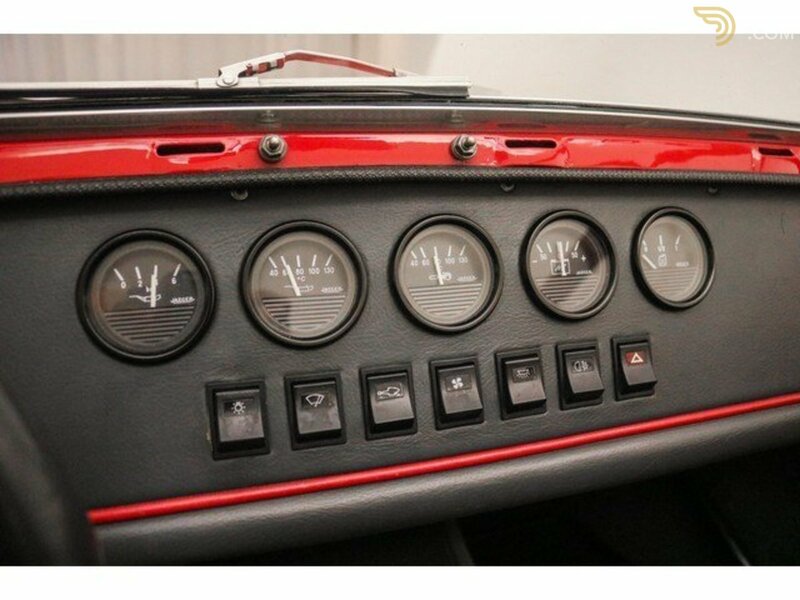 The beautiful dashboard has its original clocks such as: Oil pressure, Oil temperature and Water Temperature. 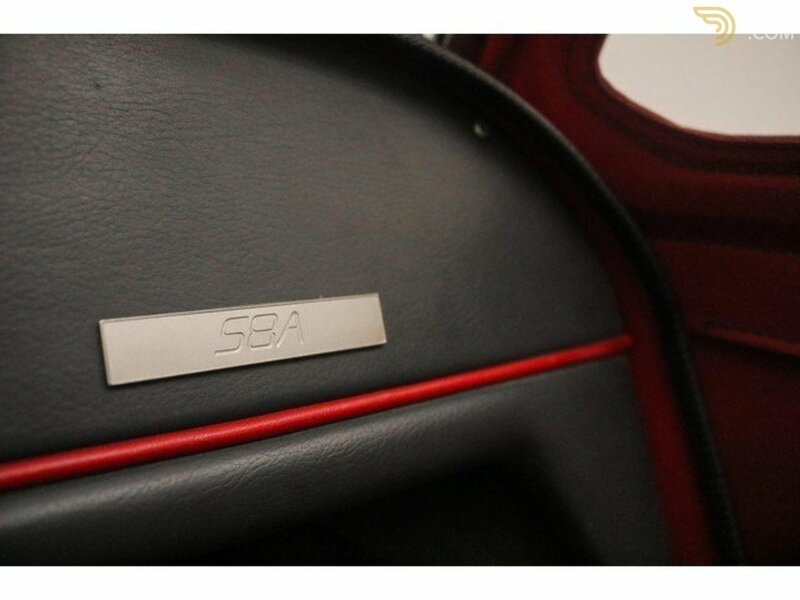 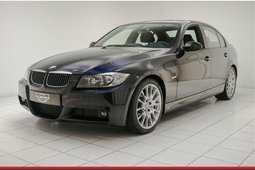 The technique of this S8A is very good. 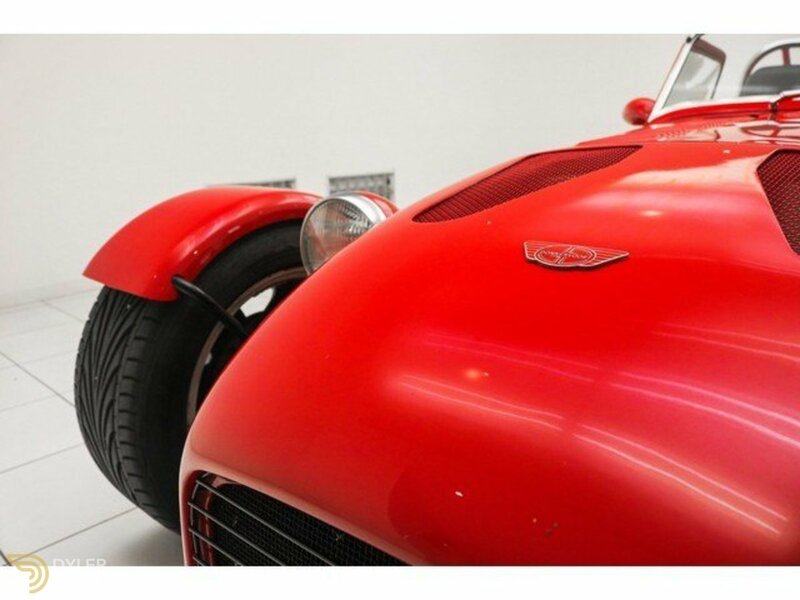 The car is always well maintained. 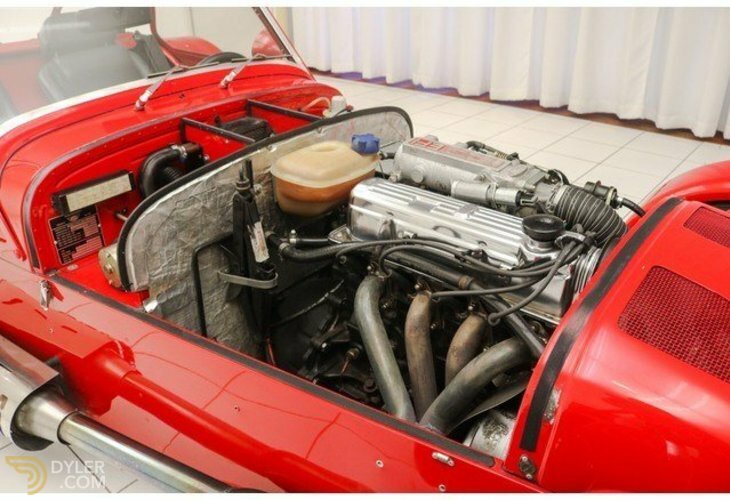 The engine runs very well and drives properly. 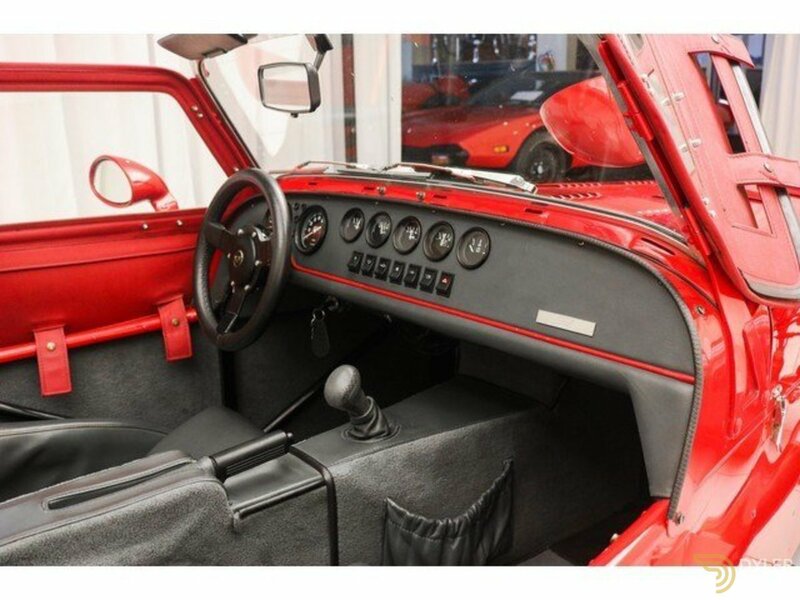 The manual gearbox shifts perfectly.